We’re coming up to the festive season and for all its fun and frivolity, it’s also a time when we loosen the purse strings to accommodate the excess. We all know there’s nothing worse than starting the new year with unpaid debt. 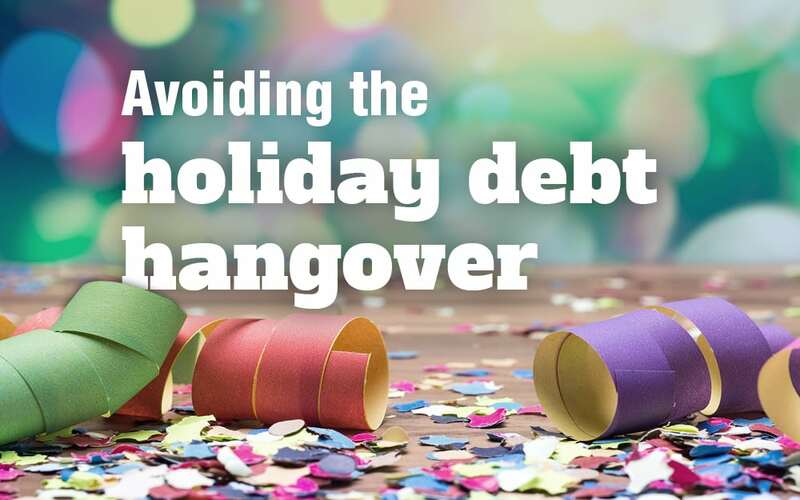 Making a solid plan for your silly season spend can make a big difference and will help you avoid a holiday debt hangover. The Christmas frenzy is pretty powerful. Even the biggest Scrooges in our midst can succumb. And it’s not hard to see why. We are bombarded with marketing from all corners at this time of year leading us to make purchases we normally wouldn’t without really giving them much thought. This can all be rather fun in the moment but can result in anxiety come January, when the credit card bill is due. One way to manage this pressure to spend is to be aware of the psychological concepts marketers employ to turn a sale. Scarcity theory is a big one.i Creating the perception that an item is limited in some way is a great way to close a deal. And Christmas provides a line in the sand that few can resist. There’s also the fact that the brain produces dopamine when it anticipates reward rather than upon receiving the reward itself.ii The hype and anticipation around Christmas provides a dopamine hit making it hard to resist the sensory overload of the decorations and carols when you hit the shops. The best way to counter this marketing frenzy is to remind yourself what Christmas is really about for you and your family. For most of us it’s reconnecting with our loved ones, sharing a meal, and finding some way to give back. This doesn’t have to be material in nature. There are plenty of ways to show someone you care that don’t involve expensive purchases. Giving someone your time, or lending them an ear, can often be so much more valuable. Now’s also the time to have the chat about Christmas values with your children. Kids are particularly susceptible to the holiday hype. And if you want to maintain your budget and avoid the sulks come Christmas morning, setting some boundaries around what they can expect gift-wise can be helpful (Santa may have some limitations on what he can carry). The average Australian credit card holder spent $3342 on plastic in December last year.iii Worryingly, many were unable to pay it back for months, often accruing unnecessary interest. Credit cards can be handy if used correctly. But you need to ensure you have the cashflow to meet your repayments. Having a holiday season budget will help here. Another trend to be aware of is Afterpay. A bit like layby except you get the product immediately, for many it is a form of forced budgeting, but for others it can lead to making purchases they can’t afford, and the late repayment fees can really add up. It’s important to remember everyone has different means and expectations around the festive season. There’s no point trying to keep up with the Joneses if it’s going to put a dampener on the rest of your summer. If, on the other hand, you’re one of the lucky ones who has the ways and means to live large at Christmas, remember not everyone does. We call it the silly season for a reason. And there’s no harm in spending a bit more in December in the name of fun and family. We all have our limits however, and knowing yours could help you avoid a holiday hangover in the New Year.